Hi, I’m Susan McEntegart the owner of Corner Shop Gym but I’m more well known by my clients as simply Coach Suzi! I have worked in the fitness industry for 20 years now so it’s safe to say it’s more than just a career – it’s a passion! During these 20 years I have gained vast knowledge and hands on experience in every aspect of operating a fitness business, from setting up my own PT studio to managing large fitness clubs and leisure centers. During the early years of my career I spent my fair share of time as a participant on many courses and workshops including first aid, manual handling and sales training. Most of these were total snoozefests, generic courses lead by “Mr or Ms Monotonous” pushed out to suit a multitude of industries. I never understood why I was learning about someone cutting their arm open with a knife in a kitchen rather than splitting their shin open during a plyo box jump or why I was learning how to close the sale of a car rather than of a gym membership! Meanwhile as a part time tutor on ITEC, NCEF, FETAC and REPs accredited courses since 2004 I also started to wonder why these awards prepared students to be outstanding fitness professionals but not to be savvy managers or even successful business owners. Something had to change – there was a huge gap in the market, these service providers were overlooking our FitFam and our specific needs. 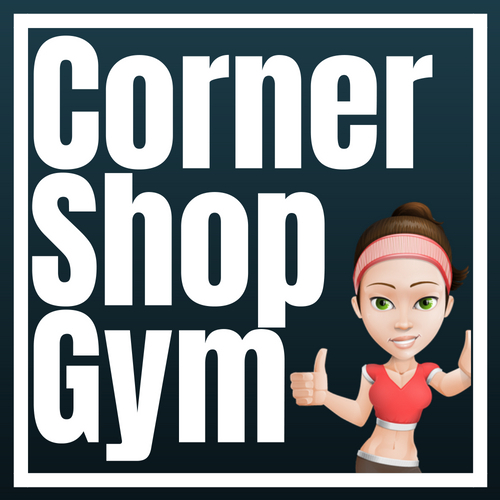 So, I created Corner Shop Gym to deliver bespoke training and consultancy services. Focusing on the business of fitness I work with start ups, studios, & box gyms as well as large private and local authority centres across Ireland and the UK. I use my extensive, and unique skill set to help improve their bottom line be it through a dedicated workshop, one to one coaching or audits and consultancy services. However, never truly happy out of my fitness gear I also deliver CPD workshops for fitpros and corporate wellness programmes in the workplace. I work with a number of prestigious brands as a Global Master Trainer (TriggerPoint Therapy and Let’s Bands) a Brand Ambassador (BV Sport, My Run Angel and Modern Legacy) and also as a fitness presenter and motivational speaker. I am a proud Roc Doc Level 2 with Rocktape, a FitStepper for FitSteps and also a Pound Pro. I like to move and I love to teach – I’m all about chasing those dreams and inspiring and empowering others to do the same. I can’t wait to help you make your business fitter, just get in touch!